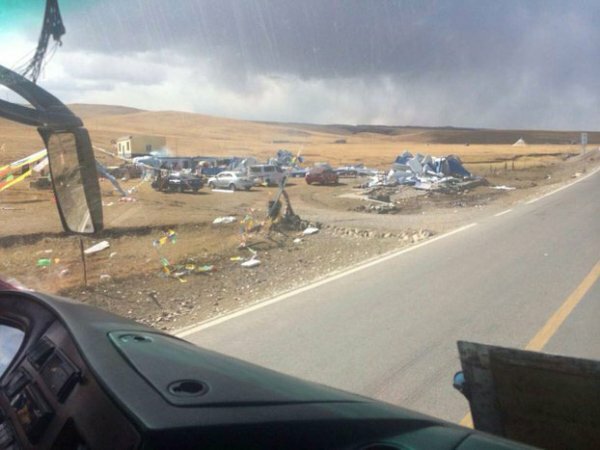 The demolition of Tibetan dwellings, including houses and shops, has left 900 Tibetan residents in China’s Qinghai province homeless. The victims were not notified prior to the demolition. The authorities accused the Tibetans of allegedly polluting and over-crowding the area. However, the response of the authorities is unreasonable, disproportionate and a violation of their rights. Not only were Tibetans left without a home, their livelihoods were also threatened as many shops were left destroyed in the process. Tibetan homes are shown destroyed along a highway in Trelnak, Qinghai, in an undated photo.